While plenty of Rickman motorcycles have graced this site, this one’s a first for me: a CRE 1000 Predator. Rickman made their name building lightweight, nickel-plated frames to wrap around existing powertrain packages. Their bikes often featured internal oil-passages to eliminate the need for external oil tanks and coolers, saving weight. 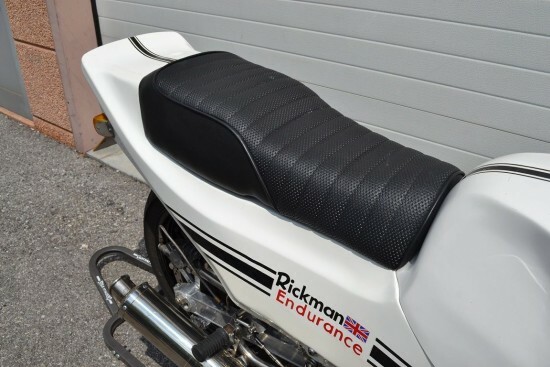 They exemplify the do-it-yourself spirit of 70’s motorcycling: there’s technically no such thing as a “stock” Rickman, since they were built up individually to customer specs or built by the customers from a kit, generally using donor bikes from Honda, Kawasaki, or Triumph. 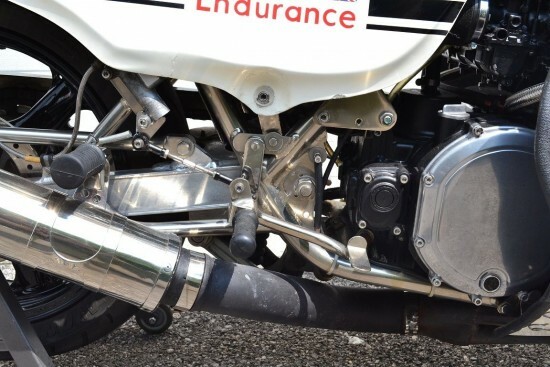 Japanese frame and suspension technology on their streetbikes had largely caught up by the 80’s, pushing companies like Rickman to the side, Rickman continued to make their Predator, a sport-touring machine, up until about 1984 that used a 1000cc Kawasaki engine. 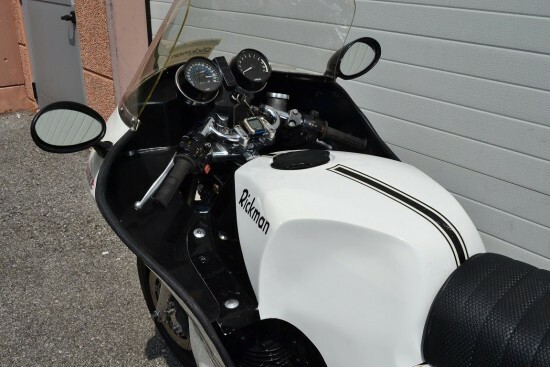 Rickman-framed Hondas, Kawasakis, and Triumphs show up for sale fairly regularly, and often at very reasonable prices, considering their performance advantages over the standard Hondas and Kawasakis from which they borrow their running gear. Bike has extensive history file, frame was supplied to Maitland Racing who built the bike and supplied a tuned engine. Engine Z1000J motor fitted with a Wiseco 1105 big bore kit, electronic ignition, Goodrich oil cooler, full build sheet & dyno chart included. Dyno’d at 118bhp. 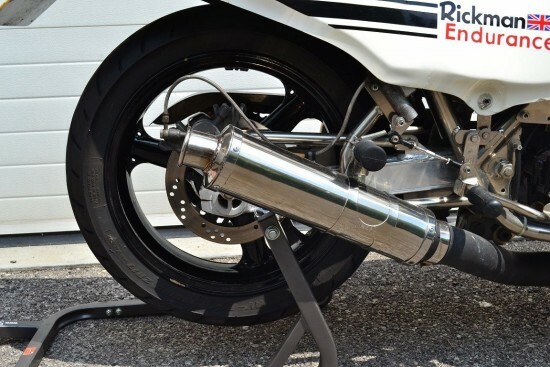 Converted to mono shock and 17″ wheels. Starts and runs with no smoke or rattles, only known fault is the speedo requires attention currently fitted with a Sigma digital speedo. Correctly registered (English documents) as Rickman. Ride and collect! Bulletproof investment. Bike is currently located in Italy, Roveredo in Piano, but i can get them delivered all around the World at cost, no problem. Although the frame is the big story with any Rickman and the key to their success, it’s hard to overlook the striking bodywork that includes a distinctive duck-tail unit and monoshock rear suspension, while 17″ wheels should make for a great selection of grippy high-performance modern rubber. If you’ll notice, the speedo is currently stuck, hence the fitting of the little digital unit. But that shouldn’t really present much of a problem to solve, considering the fact that the unit itself is a stock Kawasaki part. Or just go with an aftermarket gauge: considering the quirky 80’s style of the bodywork, I’m sure no one would mind the fitment of a modern, digital dash. All-in-all, a very distinctive vintage sportbike you can enjoy on a daily basis, and it doesn’t get much better than that! Very impressive motorcycle. However the fairing is, uhh . . . umm . . . different. 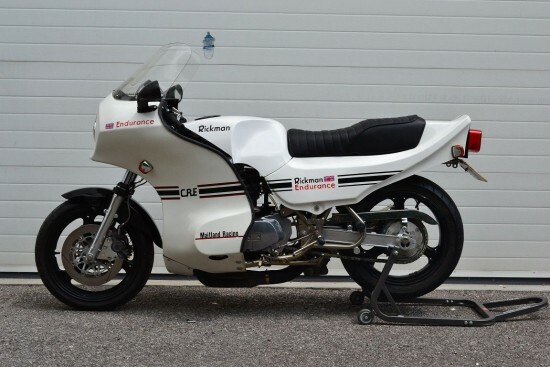 The Rickman’s built some amazing frames, fairing styling, not so much. What is the deal with this seller? He keeps coming up with very interesting motorcycles. 8-ball, teal blazer & espadrilles not included. I doubt this is a Predator. 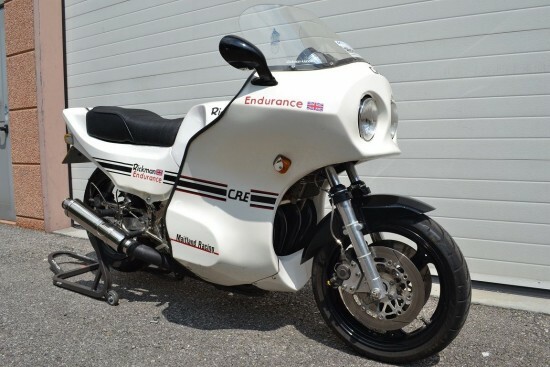 The CRE (Competition Replica Endurance) was built on the same CR line that mated both the Honda 8v and DOHC/Z-1 Kawasaki fours to a modified version of the Metisse’ frame. The Predator series came after; using the Suzuki GS1000 and 16v Honda double cam. The mods to the suspension give the bike a slightly different look, but I’m pretty certain it’s a CR-based CRE. 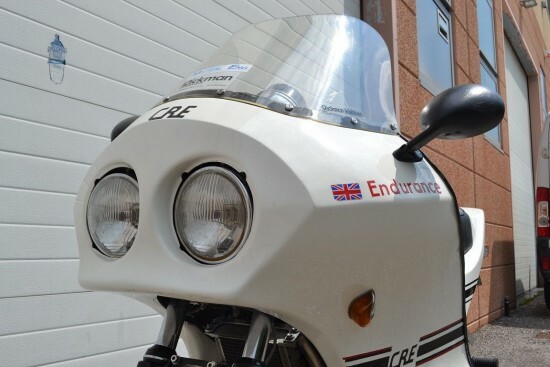 By the way, Rickman built very few CRs and even fewer CRE bikes. Most were sold as kits.